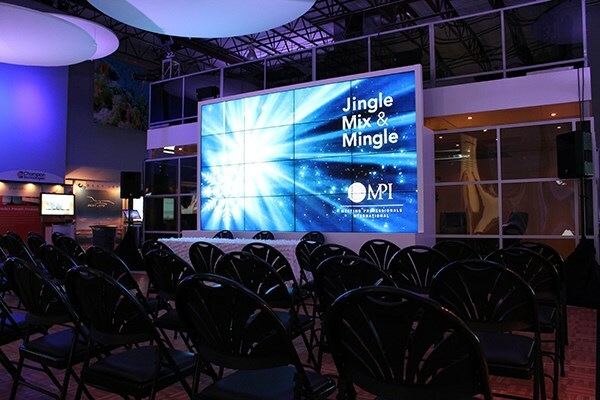 More festive than the Rockefeller Center Holiday tree and more uplifting than a Children’s Choir, 2020 Exhibits hosting of Meeting Professionals International’s annual membership event warmed an otherwise chilly evening with an all-out dazzling celebration. 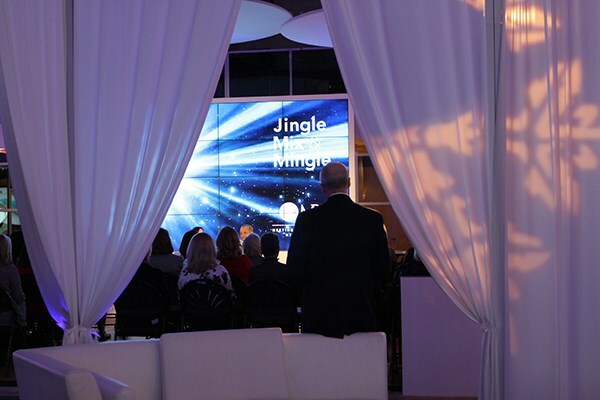 Pulling out all the stops, 2020 Exhibits reimagined the annual event, Jingle Mix and Mingle, turning their 10,000-sqaure-foot showroom into a winter wonderland. Providing guests with a taste of what was to come, the event kicked off with a Food and Beverage Trends panel discussion, where a host of the city’s finest chefs shared their take on the upcoming culinary trends and insights. Once the clock struck 5:00 p.m. and the music started, the heater-style space miraculously transformed into a dance floor party with more than 100+ of Houston’s finest event professionals remaining to mix, mingle, dance and jingle the night away. As one of six event sponsors, 2020 Exhibits brought the winter chill inside with custom-designed, glimmering snowflakes awash with light and surrounded by gobo lit images fluttering across the dance floor. This festive setting was enhanced by custom-produced videos featuring brisk snowscapes, dancing across the 50+ jumbo video screens and video walls located throughout the showroom. 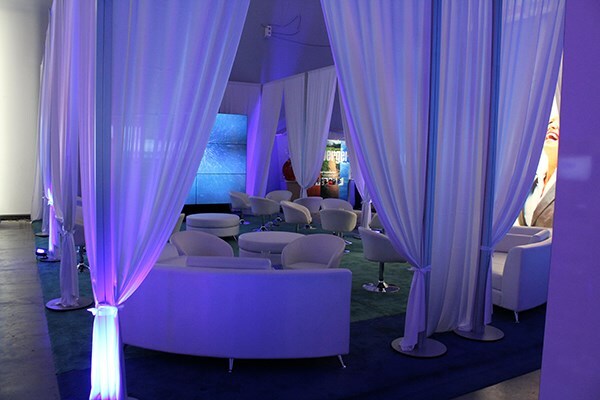 A VIP room with swanky seating and soft lighting provided the perfect setting for attendees to relax and “chill” among friends. This space gave attendees the chance to catch up, one-on-one. Keeping the mood light and festive, party goers posed for the photo-booth camera, capturing the moment and extending this festive holiday celebration just a little bit longer. 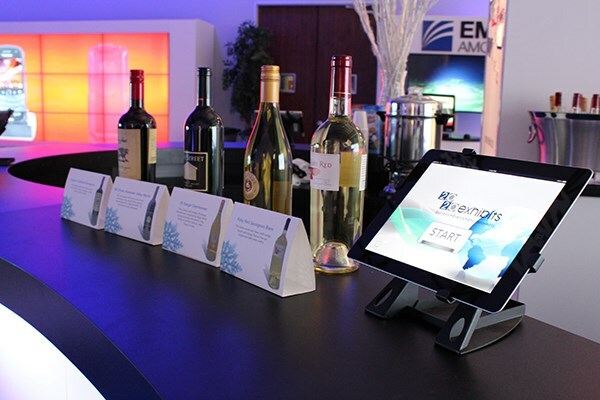 As a global leader in the design and production of exhibits, events and environments, the team at 2020 Exhibits knows that attention grabbing, awe-inspiring events and experiences aren’t limited to the trade show floor. 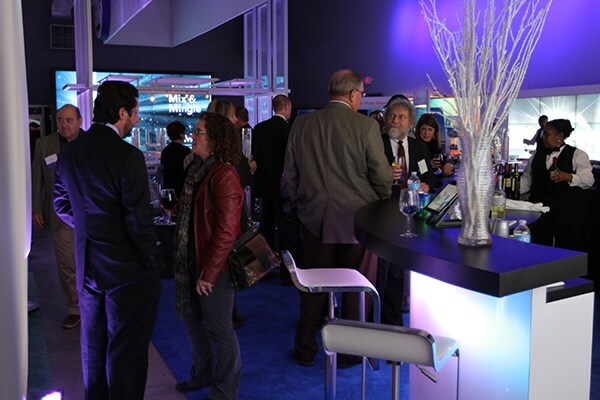 From compelling, inspiring and brand infused exhibits, events and environments, to powerful interactive multimedia, and beyond – 2020 Exhibits delivers the total event experience for brands worldwide.